Subscription Managers have the ability to add teachers to their subscription group or edit teacher details. This article will provide a walkthrough of adding teachers and editing teachers after they have been created. 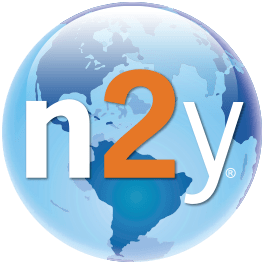 Select Sign In form the n2y.com home page and enter your login credentials. Select your email address in the upper right-hand corner and select Subscription Dashboard. Launch the User Dashboard for a subscription by selecting the blue subscription number under the Subscription column. The User Dashboard will now display. The Add User button will be used to add new users. Users that are already part of the subscription will organize under the appropriate tab based on their role. Navigate to the User Dashboard as a Subscription Manager. Select the Add User icon. The Add User window will display. Select the type of users you would like to add (Administrator roles are available for Unique Learning System only). Enter the email address of the user being added and select Verify User. The email entered will be the username. You may add the same user multiple times under different roles. Use the same email address each time to create a single sign-on experience. If the user already exists, select the Add User icon. The user will receive an email notifying them of the change. Note that you can not add a user as Teacher twice. See directions below to manage grade band(s) in the Edit Users section. If the user does not already exist, enter the user’s first and last name. If the new user is a teacher, grade band information and Administrator or Sub-Administrator must also be added. Select the Add User icon. The user will receive an email to register. If you are adding a new teacher, complete the Add User form by assigning a grade band. Choosing Unassigned Grade Band Licenses will allow the teacher to select a grade band when they next login. Select the Add User icon to complete the form and apply the license(s). Editing user details allows a Subscription Manager to edit things such as Grade Band, Administrator Group, and Organization and to reset the user’s password. The options available to edit differ depending on the user’s role. Select the Licensed Users tab. Select the Edit button next to a licensed user to open the Edit Licensed User pop-up menu. Use the drop-down menu to change the Administrator or Sub-Administrator the user is assigned to. Use the checkboxes to change a user’s grade band access. Reset the user’s password by checking the box next to Reset Password and entering a new password twice to verify. Change the Organization by selecting Change next to the current organization. Once the changes have been made select Save to apply the changes. Check the boxes at the end of the row to select the users you wish to delete. Scroll to the bottom of the page and select Delete Licensed Users . To confirm the deletion, select Remove Subscribers from the pop-up window. Note that Subscription Managers must contact n2y support to delete Subscription Managers, Administrators, or Sub-Administrators. How Do I Renew My Subscription or Add More Licenses? How Do I Set Reading Level Priority?